Yes, I admit it. Also I love cars with turbo engines, especially those from the old shot and grain. Nowadays even almost all cars are equipped with turbocharged engines even to the small car segment, which - and that is also the goal in the aggregate development, rather like large-volume naturally aspirated engines feel (I am for many years at a large car manufacturer in the south of the country as a driving strategist !). But, so where did the exclusivity and boorish character of former turbo engines last? This "down around" still lame, but all the more buzz when the turbo compressor pressure has built up enough. I had some such vehicles and not just SAABs. I started with a Nissan Silvia 1.8 Turbo from 1988 with rear-wheel drive. The car was a lot of fun and had a much better elasticity at that time than, for example, a performance-matched BMW318is with a sixteen-valve engine. Then followed an Audi 200 quattro 20V with legendary 5 cylinder turbo engine and 309 Nm at already 1.950 min-1. This was followed by 2 SAAB 900 Turbo 16 (which, by the way, I still own both) and an 9-3 soft turbo (which I unfortunately traded in). Now you are probably wondering what this has to do with the title? I did not want to do my SAAB 900 Turbos the salt in winter anymore. So only approval with season license plate. In the last few winters, I either drove my wife or daughter's car or even a bus, which is good for the environment but doubles my travel time. 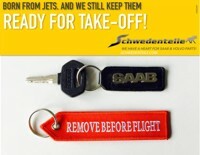 And the 5 months abstention from SAAB driving became more and more difficult to endure! That meant: a "Daily Driver" SAAB had to come! But he should be reasonably priced and most of all an 9-3 coupe, a manual switch with a turbo of course. Since I found but on Mobile.de near 9 3 5T 2.0i with automatic, so just the opposite of what I was looking for. I drove the car but nevertheless sample and was pleasantly surprised. And since the car was otherwise in good condition for its age (almost no rust), I bought it. Yes, it is not a sports car. But for daily commuting, mostly on the highway and in the city, the driving performance is completely sufficient. What's more, the car decelerates and relieves stress. After I have changed the oil of the automatic, it switches again buttery soft. Although almost 20 years young and 210.000 km, the chassis still feels crisp and is free of bumps. You just have to trust yourself! Otherwise there are no "Squeaks and Rattles". The directional stability is impeccable, the steering provides a lot of feeling and a good braking effect with a clear pedal feel complements the positive image. Another absolute strength of the car is driving in the snow. 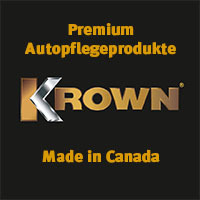 The combination of new, very good winter tires (Conti TS 860), low torque and the automatic winter program (starting in the 3 gear) ensures that the car digs diligently through every layer of snow (and there was a lot of snow this winter! ). As can be seen in the pictures even the paint shines, although I wash only now and then. Sure, a few little things are always there: the usual pixel errors are present (the most important information is still recognizable), the air mass meter was broken and had to be replaced, the exhaust was due and the automatic air conditioning does not cool. But, all in all, it just makes the car happy and I look forward to every ride! 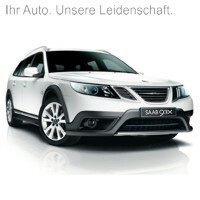 Let's come to my conclusion: Boys and of course girls, dare you to a SAAB with naturally aspirated engine! It does not always have to be a turbo to be happy with a SAAB. 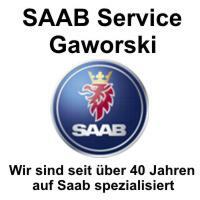 Thanks to Herman Verbeek for this Saab story! How is it in everyday life with an older Saab? What do you experience, how do friends, colleagues and the family react? With indulgence, enthusiasm or compassion? 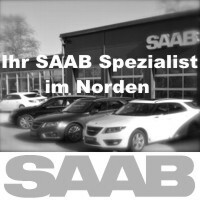 How do you keep the Saab alive, what do you do with spare parts and workshops, how do you optimize or restore the old Swedes? A broad topic for the "Saab stories 2019!". Challenging, but also interesting. How does it look with the fans, how strong does the Saab heart beat in everyday life? Write it to us, it's worth it! 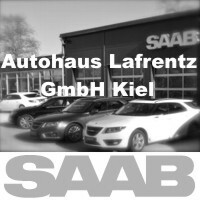 ← The new Saab Inside is coming! 13 thoughts too "SAAB and naturally aspirated engine"
Finally Sunday again and a fresh dose of SAAB. I also had cars and engines. As a switch in silver. Reunion is fun. I never had any complaints about the car or the engine and, logically, never had to change a loader or one of the hoses or other parts attached to it. With a 2.3i in the 9000 I was also a few thousand km on the way. Great engine. 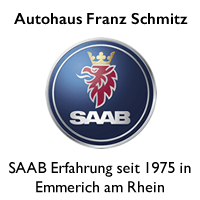 Anyone looking for a SAAB Young or a younger classic car today looks better after condition and equipment and also the color, as exclusive and priority in the direction of compulsory ventilation to squint. 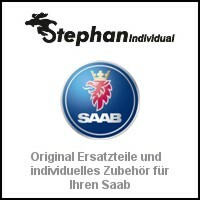 And I think it's damn cool, if someone in the German car industry his Bread earns and SAAB drives. 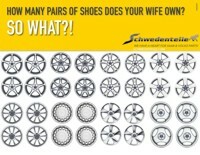 Many thanks to Herman Verbeek, for his turbo-thoughts and the Sunday Saabi entertainment. Very nice contribution from Herman. In the city traffic of Freiburg I move alternately a 9000 2.3 sucker and one with turbo and can only agree with the author. The supercharged engine is really unnecessary in many situations. What does Tom's white 9000CS 2.3i do? The CS is parked (still) in the hangar. Since my structural situation is likely to change, the future is open. Updates, if any should come, of course, on the blog. 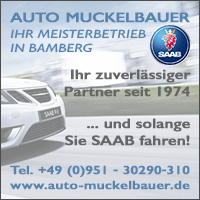 Again a nice Saab story, thanks. Of course, turbos are fun, but even the suckers can be a lot of fun. I myself would not mind a 9-3II 1,8i. Because of the only 122PS as well as the maintenance costs would remain in the frame. Thanks for the dose Saab story. 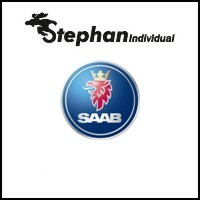 It is always nice to read that there are other enthusiasts for Saab. All a good start to the week and the spring that should come! Another great Saab story. Thanks for that. 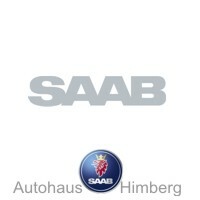 Although I have not had a "non-turbo", but can tell by acquaintances that these Saabs are by no means underpowered. Especially in rural roads, these engines are perfectly adequate. Only the consumption should be slightly higher, because you want to compensate for the lack of power by turning the gears higher. Anyway, I would drive every Saab. With good care, all engines last long. One of my 9-5 Aero had 579000km down! The purpose of a turbo is, strictly speaking, to be able to burn more fuel at the same displacement and the same engine speed, because it supplies more air and thus oxygen than a vacuum cleaner would pull. In this respect, turbos do not even compete directly with the suckers of the same volume and cylinder numbers themselves. So you can not assume that an 2.0 or 2.3 vacuum cleaner with 4 cylinders per se would consume more than its supercharged (and more powerful turbo) counterpart with the same engine block. And the SAAB vacuum cleaners can not only get on the highway without being underpowered. Outside Germany, that's not an issue anyway. Ironically, with a sucker (9000 2.3i) I drove 1994 my probably everlasting highest personal average speed over 600 Km - a small BAB Talladega with a SAAB sucker! A fantastically relaxed and very fast night ride with Nightpanel but without turbo. A statement for the sucker, how nice! The 9-3 I is anyway one of the most beautiful vehicles from Trollhättan. Thanks for the reading pleasure! I switched from 99 EMS to 99 turbo many decades ago - and felt the pros and cons. The injector was somehow more direct on the gas, the turbo (at least in the lower speed range) rather indirectly. That was the case with the following 900 turbo. The 9000 i that followed was again more spontaneous. But the turbos had gotten better and so it was finally followed by a turbo again, an 9000er. 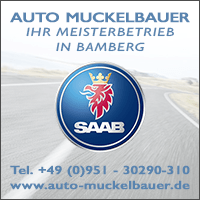 Well, and then one of the most successful Saab dealers disappeared, and since then, there's nothing left east of Hamburg. But there are many Saabs here, not just in our carport. Nice report, thank you! But well! 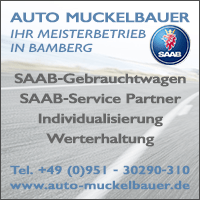 My Saugerbejiisterung is limited (The 900 S I had, I was the least fun of all Saabs). 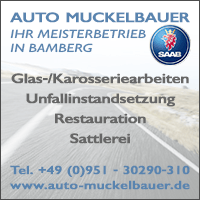 In our country in Bergisches Land there are often overtaking situations on the road where I have to accelerate from 60 to 100. Since I have found that the heart palpitations in the sucker and turbo are the same, once because it is exciting, if I come in time and once because ... "wow, how cool is that". Yesterday in the Emsland (family visit) I was 600km, of which 550 highway, quite relaxed 140, cruise control and good music. Since I did not need the turbo, but he did not bother! And 5,8l / 100km diesel in the 9-5 station wagon count for me too, the sucker never did it under 9 l. So: I love my turbos! Incidentally, 5,8 liters of diesel correspond to approx. 7 liters of gasoline in terms of energy and CO2 emissions. It's also okay, but with constant 140, that does not really knock me off the stool and remains roughly in the range of what would be quite possible with a sucking petrol engine. A very nice report for and for the naturally aspirated engine. Sure, a turbocharged engine at SAAB is an absolute power amplifier, but even a vacuum cleaner can be comfortable and quick. Drive the 2,3 i engine in 9000 for a few years now. The engine can be quiet but if it depends on speedy drive. Sure, no relation to the turbo but for me it is enough to be able to swim on the highway sometimes left. On the last journey of HH -> Hessen the consumption at 130 km / h was at 7,9 liters, which I really find very respectable for such a big engine and the corresponding age.